Home » Breville Smart Grinder Pro vs Rancilio Rocky Grinder: Which is Best? Breville Smart Grinder Pro vs Rancilio Rocky Grinder: Which is Best? Mornings are the least favorite part of most people’s day. The sheer force of will that is required to drag their sleepy self out of bed after hitting the snooze button countless times is just brutal. In fact, there are only 1 in every 278,273,000 people love to wake up early in the morning and get a head start on the day. The rest of the population though hate mornings with a passion. But work is work and time does not stop. With this in mind, most people rip themselves apart from the alluring call of their beds and sleepily move with a single-minded goal: caffeine. 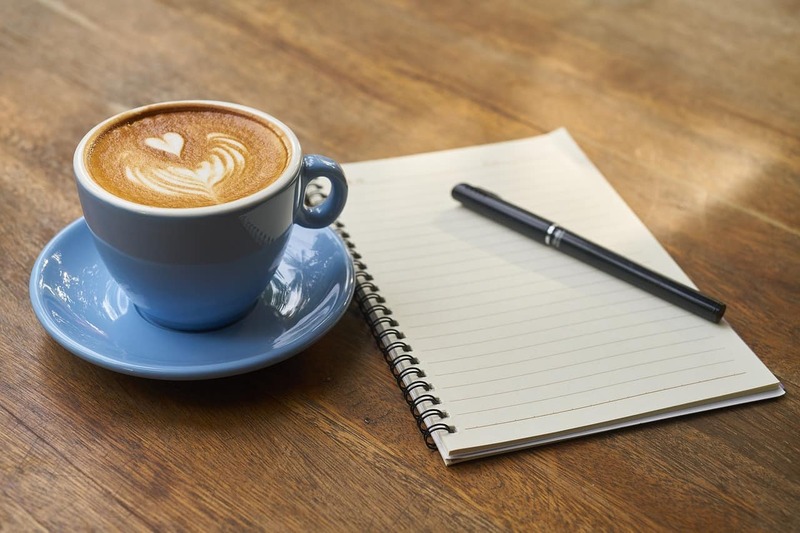 Coffee is one of the most consumed drinks in the world and for undoubtedly reasons when most of the world’s population need a little something extra to wake up. Coffee is the second most valuable legally traded commodity in the world, the first being oil. Coffee is nearly as profitable as well. 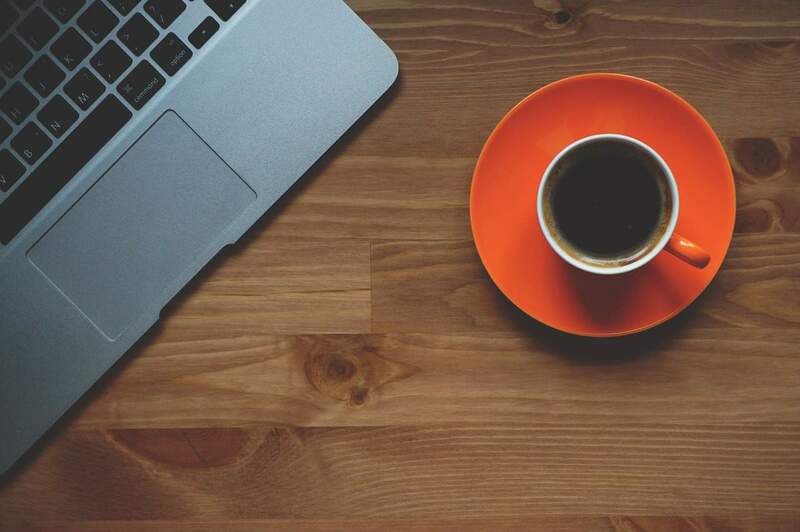 You only have to look at the number of coffee shops in your area. If you are a New Yorker then you will notice that there is Starbucks almost around every corner. This is due to the fact that out of all the cities in the United States, New York consumes 7 times more coffee. No wonder why you can’t go any place without having to see a coffee shop, usually Starbucks, scattered everywhere. Coffee has some pretty awesome advantages. It reduces the risks of most types of cancer including liver cancer, coffee also helps in the detoxification of the body. Coffee makes you sharper and more focused by releasing happy hormones in your brain, it also helps in the regulation of hormones like estrogen and testosterone. Coffee is great for the skin as well also great for your eyes. Coffee has protective properties against most forms of neurodegenerative disorders like Alzheimer’s and Parkinson’s. Coffee also promotes healthy functioning of the heart and protects you by reducing the chances of strokes or any other cardiovascular disorders. Besides all of this, coffee can increase the rate of metabolism and possibly help in weight loss. Coffee is a rich source of most vitamin B complexes as well as some minerals and therefore also promotes good nutrition. All these benefits are great but as they say, too much of anything is bad. I don’t know who ‘they’ are but ‘they’ are right. Too much of caffeine can disrupt your sleeping patterns and make you feel worse than how you feel in the morning. I am willing to bet my money that most of us have suffered from the after-effects of coffee, feeling an opiate addict who didn’t get their fix. So be sensible and limit yourself to only a cup or two of coffee per day. Don’t be like Voltaire. The notorious French writer and philosopher who has been rumored to have drunk around 30 to 40 cups of coffee in a day. A well-made cup of coffee is a work of art. It requires a combination of scientific precision along with an artistic creation. A cup of delicious java requires a perfect synchronization between all these little factors that subtly affect the taste of your coffee. A truly great cup of steaming, piping delicious coffee requires a lot of patience and practice. This is probably why most people don’t prefer their coffee out of a Styrofoam cup after waiting in a long line of equally coffee-dependent people. But what if I were to tell you that you should make amazing coffee at home? It is less expensive and if you get it right, even more delicious. Let us talk about the expenses. A venti latte or in non-Starbucks lingo, a cup of large latte costs around $4. While that may not seem like a big deal but over time this price adds up. If you keep buying this same order every morning for a year then this will total up to $1,460. Makes a difference now, doesn’t it? Now imagine that you buy a $4 large latte every morning for 5 years, the total amount of money you will be spending will be $7300. This is considering that you always get a latte and not a specialty or added flavors. Now imagine that by drinking coffee at home you can be saving this amount. Now you must be wondering how a homemade coffee can ever compare to the skills of a barista. Well, I am here to tell you that it can’t only be just as good but even better. As you understand the details of how all the subtle factors that interact with each other to make a delicious cup of Joe, you will be able to master the skill of delicious coffee-making. Along with all these subtle factors, the tools that you use also makes a difference. The secret to a delicious coffee is a combination of the right ingredients made to undergo the right processes at right time with the right tools. In this article, we will analyze two such tools: Breville smart grinder and Rancilio Rocky grinder. We will take a look at what they are, how good they are at doing their jobs. We will also pitch one against another and see who the winner is and who gets ground, pun intended. The first thing we need to clarify is that if you use instant coffee then, well, ditch it altogether. It is a cheap knockoff of what real coffee is supposed to taste like. Instant coffee is great at giving you an instant caffeine boost but it quickly wears off, the crash is hard and the taste is no bueno. Trust me, a real coffee will change your life and for the better. There are a lot of places around, including even some coffee shops that sell coffee beans. These coffee beans are available as whole or as pre-ground. 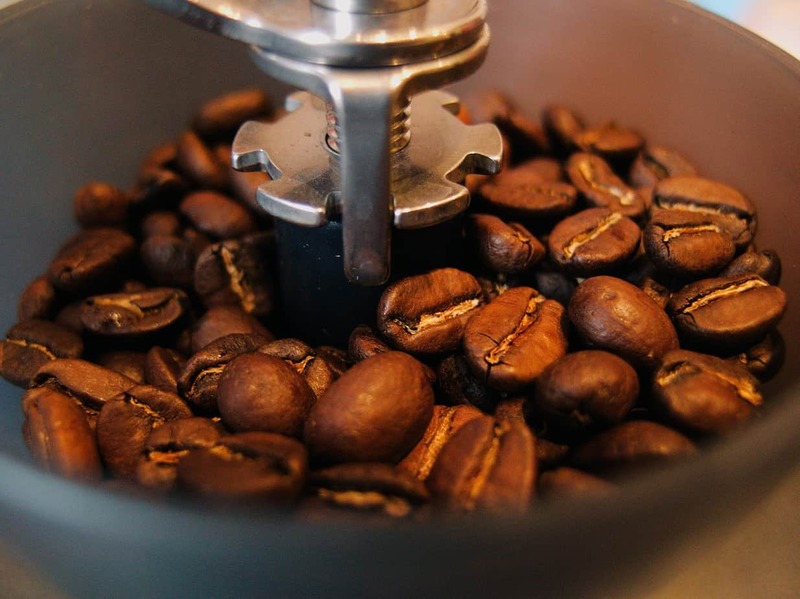 But first, let us quickly take a look at different types of coffee beans. Broadly coffee beans can be divided into 4 types: Arabica, Robusta, Liberica, and Excelsa. Each of these coffee beans has their own unique flavor and aroma. While they can be had as you like them but some coffee beans work great as a certain type of coffee. Arabica is the most common coffee out there while Excelsa is the rarest of the coffee beans. Arabica has a fruity and sweeter taste, Robusta has a bit harsher tone to it and tastes more strong and bitter. Liberica coffee beans give a smoky and smooth taste with a hint of nut-like aftertaste while Excelsa has a unique, sour taste and works better as a blend with other coffee beans. Usually what you find is Arabica coffee as it forms about 60% of the world’s coffee production. Along with the coffee beans, even the type of roast is important. Roasting is the process that makes raw coffee into the coffee that we love and adore. Pre-roast the coffee beans are green in color and is nothing like the dark-colored, aromatic coffee we recognize. There are different types of roast and each give the coffee beans a unique flavor. The color of the coffee bean is a sure way to gauge how roasted the coffee beans are. Light colored coffee beans are lightly roasted and therefore has a higher caffeine content and have a fruity aroma. They are best suited for espresso or black coffee. Dark roasts have less caffeine content and is dark in color almost black. The oil deposited on it giving it a shiny appearance. This type of roast is best for latte. Adding milk, cream or sugar just enhances the taste of these coffee beans. In between, there is a medium light roast, medium roast, and medium dark roast. These roasts are in between the dark roast and the light roasts in taste, coffee content, oil deposition and appearance. The most preferred types of coffee beans is a medium roast. It has a perfect balance of taste, appearance, aroma and caffeine strength. All of these factors significantly contribute to the taste of your coffee. So depending on what kind and taste you like, you should opt for those types of coffee beans. You can buy pre-ground coffee if the taste of your coffee, as well as the money you spent in buying that pre-ground coffee, doesn’t matter to you. Pre-ground coffee is not the best option to go for most of the time. Maybe now you must be thinking to yourself, that why does it matter whether the coffee is pre-ground or whole beans? Coffee is coffee, right? Wrong. 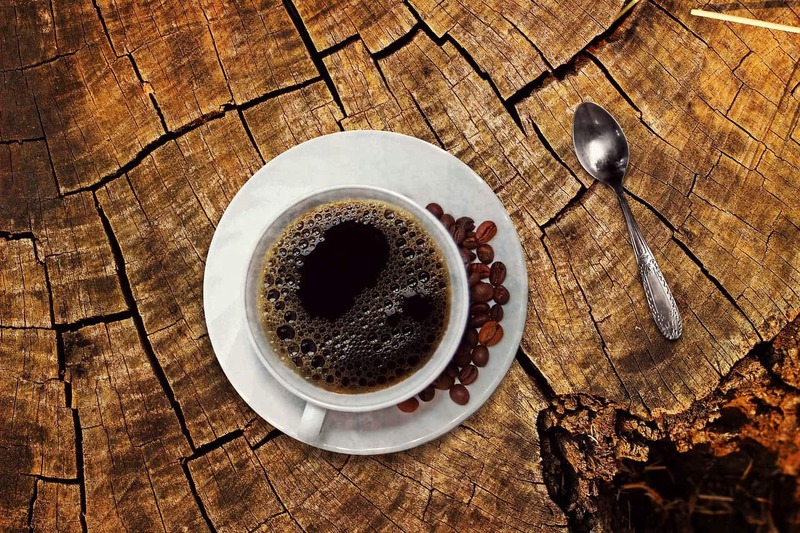 There are several reasons why you should always go for whole beans coffee. All these factors directly impact the flavor of the coffee. The first reason is the reaction of the coffee beans with the air. Our air is filled with a mixture of gases. One of these gases is oxygen. Your coffee contains various compounds like caffeine, riboflavin and other such compounds which give the coffee its delicious taste. But these compounds in their free form are highly reactive with oxygen in the air. The grinding of the coffee beans releases these compounds and begins the process of staling. It is a lot similar to leaving half a bag of crispy chips or tortillas out without packing it properly. When you open it, the chips become rancid and stale. The same thing happens to coffee. If it is not sealed properly after grinding or consumed immediately, it becomes stale and loses its rich taste. Another reason to buy whole beans coffee is that the loss of carbon dioxide from the coffee beans. The carbon dioxide makes the large part of our atmosphere, it also contributes to giving the coffee it’s delicious taste. 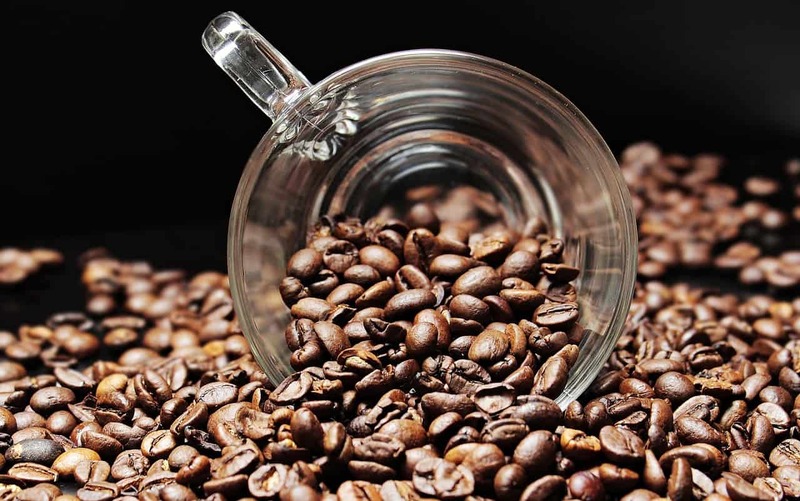 Coffee beans are very porous, this allows the gases to easily pass in and out of the beans. The grinding process increases the porosity of the coffee beans and this increases the loss of carbon dioxide and thus resulting in the bad taste of your coffee. Another reason to not buy pre-ground coffee is that of moisture damage. One of the reasons your coffee tastes delicious is because the water and the oil present on and in the coffee beans mix with each other perfectly. The air around us is filled with moisture, which can react with oil of coffee beans and destroy the rich taste of your coffee. When you grind the coffee beans, the surface area for absorption of moisture increases which is why freshly-ground and brewed coffee always tastes so good. But if the pre-ground coffee is not used immediately, the moisture can get to it before you do and then say goodbye to your yummy coffee. I have heard so many people complain about how flat and tasteless their coffee tastes when they make it at home. After asking them what type of coffee they buy, nine times out of ten, their response is pre-ground coffee. 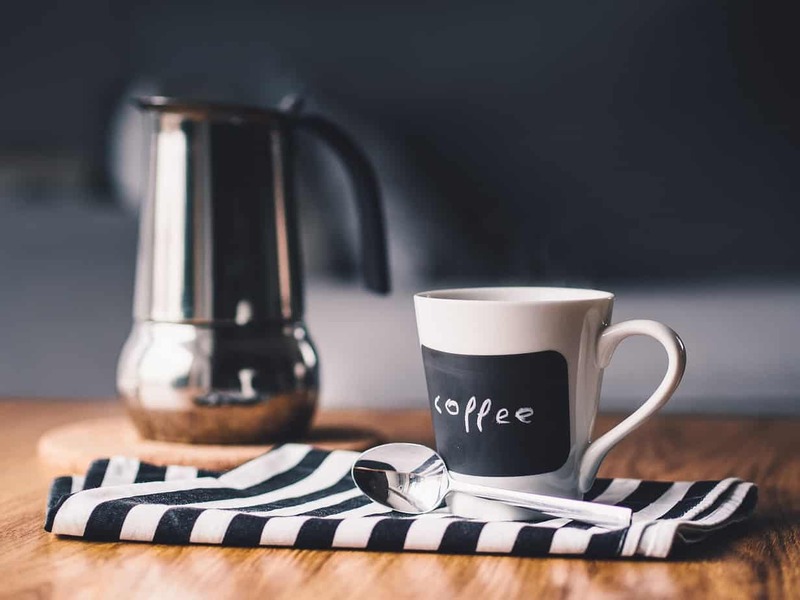 By purchasing pre-ground coffee you are not just throwing your money down the drain but also not getting the true experience of a delicious homemade coffee. So now that you decided to take control of your own coffee and you have been guided on the right path of buying whole beans, it is time to start your next lesson. What to do with the coffee beans? You grind this coffee bean at home, of course. Your next task is to find a good coffee. 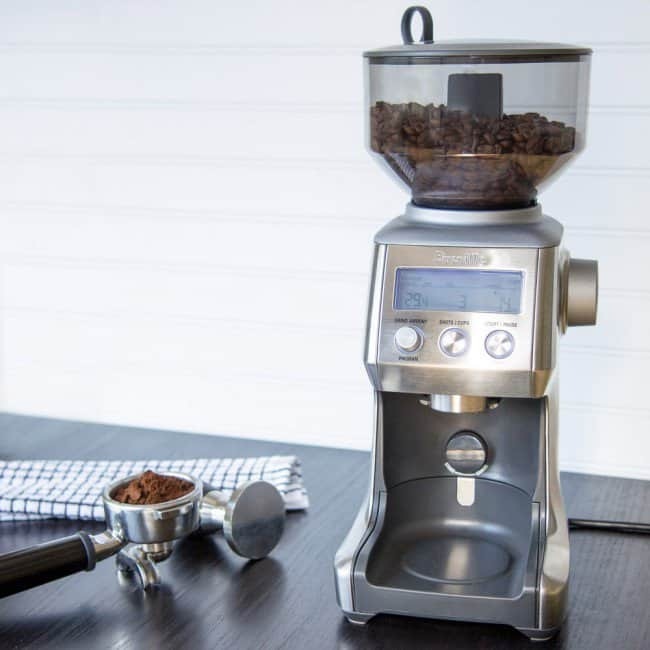 A coffee grinder that will change those unassuming little coffee beans into a mug of a delicious cup of Joe. A true transformation, if you ask me. Another factor that will determine the taste of your coffee is the uniformity as well as the size of the ground coffee beans. Just as is the case with everything in the world, coffee grinders are also of different types. Mainly speaking there are two types of coffee grinders or any grinders for that matter. You have the blade grinders and the burr grinders. Blade grinders are a little old compared to burr grinders. Blade grinders use sharp, steel blades which operate at high speed, grinding the coffee down. The burr grinders, on the other hand, are more technologically savvy. Burr grinders use metal surfaces that are called, surprisingly, burrs. These burrs or metal surfaces revolve against each other and grind coffee beans. One of the main advantages of a burr grinder over a blade grinder is that the size of your grind can be adjusted. The secret behind a perfect cup of coffee is the compatibility of your grind size with the brewing method. Some coffee requires certain grind size. This is why burr grinders are a better option, they give you the flexibility to adjust the size of your grinds by simply adjusting the distance between the burrs. As I mentioned before the size, especially the uniformity of the ground coffee beans also influence the taste of your coffee. Burr grinders, unlike blade grinders, don’t smash the coffee beans into chunks. Burr grinders slice the coffee beans into equal size particles. Burr grinders are sturdier than blade grinders, easy to clean and designed to last for a long time. Besides, with the growing technology, the burr grinders are getting even more of a boost up. In fact, ask any self-respecting barista what kind of coffee grinders they use and their answer will be a burr grinder. 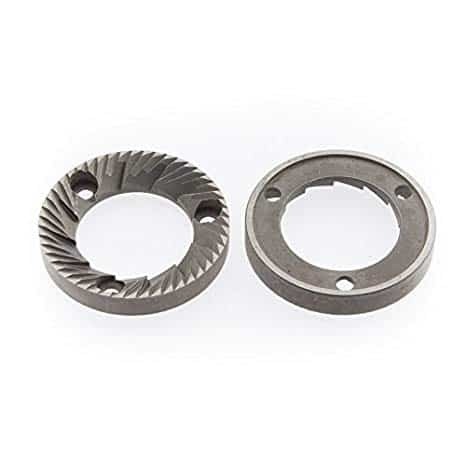 Burr grinders are of two types: flat burrs and conical burrs. Burr grinders are either flat or conical. The conical burr grinders are more affordable and make less noise. Burr grinders generally have a high-speed motor which helps in maintaining the consistency of the size of the coffee grinds. Different types of grind result in a different type of coffee and would require a different type of brewing method. To brief it up, we have a spectrum of coffee beans ground size from the ultrafine ground to coarse ground. We have finely ground coffee. The consistency of this type of coffee grind is like powdered brown sugar. It is best for espresso. There is also medium fine which is slightly less fine than the fine ground. This type of coffee grind is best suited for mocha pots. There is a medium ground size used for drip coffee method of brewing. Medium coarse grinds are used for Chemex brewers and lastly, coarse coffee grinds are best enjoyed using French press or percolator brewing method. The size of coarse ground coffee is like table salt. 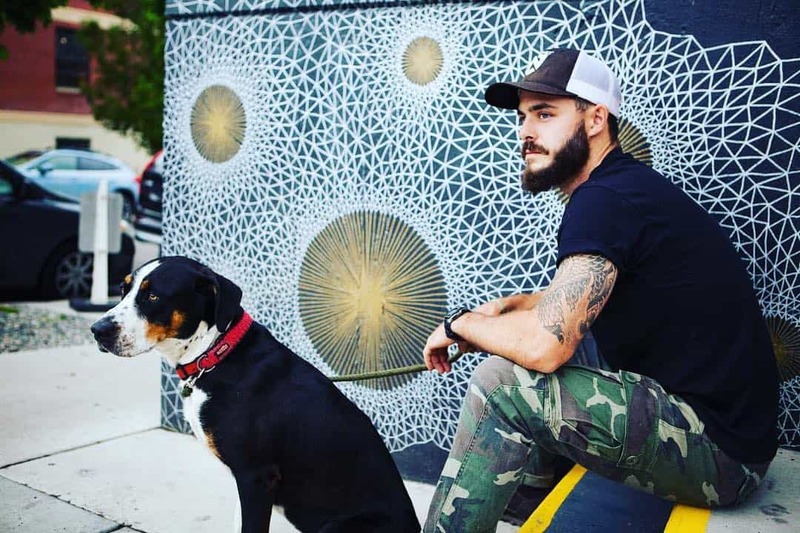 Today, as you might have already guessed from the title of this article, we have two burr grinders to talk to you about. Both these grinders are used for grinding coffee beans but it’s not just about functionality, it’s also about how well they perform those functions. We will first talk about these two coffee grinders separately and then compare them to one another to determine which coffee grinder you should be bringing into your home pretty soon. There is a whole lot of things to praise about when it comes to Breville coffee grinders. 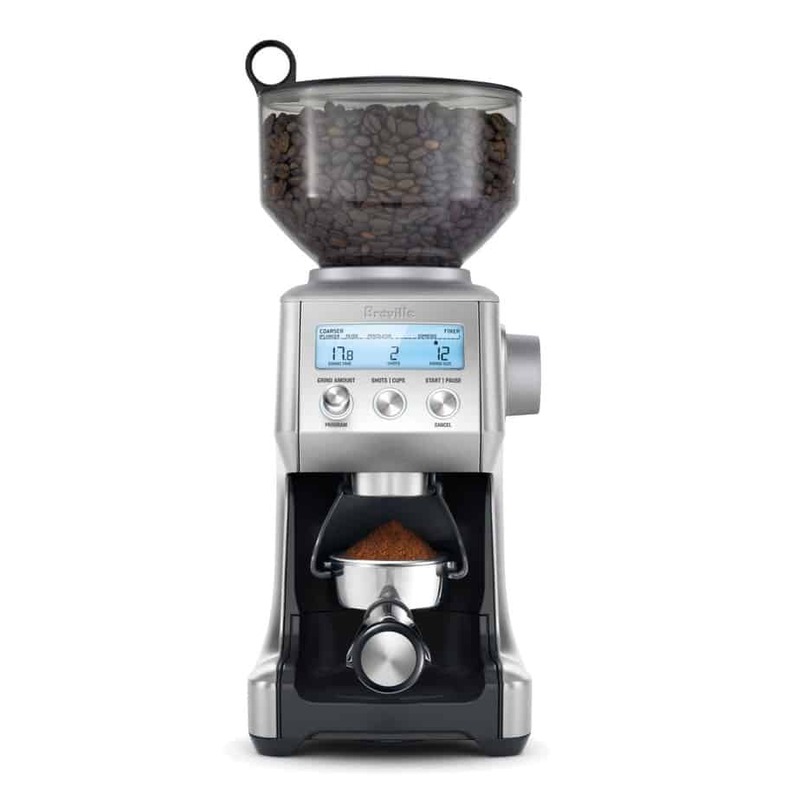 It is designed intelligently to make the work of grinding coffee more precise and efficient. Available in three colors, this coffee grinder was designed by keeping in mind the importance of choice and variety. With a dimension of 8.5 inches X 12.5 inches X 16.3 inches, the Breville coffee grinder is perfect to tuck into a small corner in your kitchen without taking up much of a space. With powerful conical burrs, Breville smart grinder gives you a consistent size grind every time. One of the great things about theBreville smart grinder is this thrifty little feature that makes sure that your coffee is both, whole coffee beans as well as ground coffee, remains unadulterated. Remember how we said that air is bad for the taste of coffee? Well, Breville took notice of that. The Breville smart grinder solves this problem by allowing you to grind your coffee directly into the portafilter. A portafilter is an essential part of any grinder. It is used to hold the ground coffee beans. 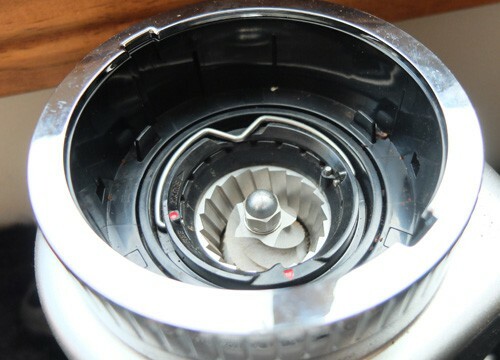 In a Breville grinder system, the portafilter is an airtight container. It can also be a gold-tone filter basket or even a paper filter. The flexibility of the portafilter is what I love here. The coffee beans are ground directly into the airtight portafilter making it difficult for the ground coffee to react with air or moisture. This ensures that the flavor of the coffee is preserved for a longer time and you get to enjoy the rich taste of a well-deserved cup of coffee. 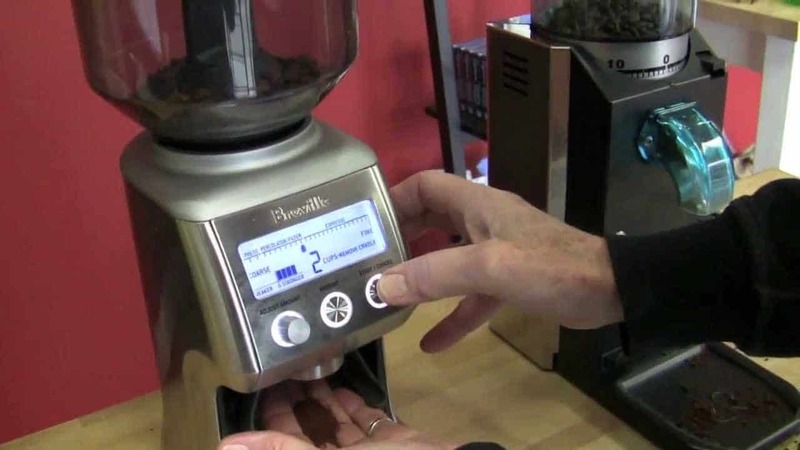 Another reason Breville smart grind is grinding (pun intended) the competition is due to the immense amounts of grinding options it gives the user. There are 60 different settings to create the perfect coffee that you my heart desire. From ultrafine grinds for a steaming espresso to a coarse grind for a percolator brew, whatever it is you crave the intuitive settings of Breville smart grinder can make it happen. The efficiency increases even more. With two different options of ‘cups’ and ‘shots’ your coffee is not just delicious but even easier to make. If you want to grind the coffee beans for Espresso, then choose the shots options and if you want to brew your coffee using a French Press or Filter, then choose the cups options. These two options help you by grinding only the required measurement of the coffee so you don’t have to waste your time in the mornings going through the mathematical conundrum. This also means that even the coffee beans don’t get wasted. The smart grinder only grinds what is required and this helps to preserve the taste of your coffee beans by not grinding extra. The sleek appearance of the Breville smart grinder is further completed by the LCD display on the machine. The screen shows the grind size, grind time as well as the number of ‘cups’ or ‘shots’ selected. The pre-programmed settings make the Breville grinder work as efficiently as it could. And there is yet another awesome feature of this very smart grinder that we appreciate. 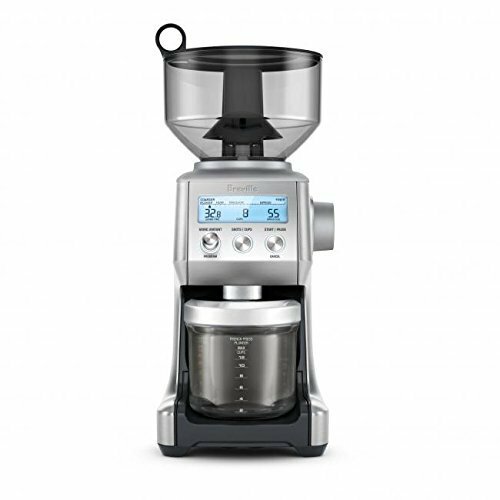 This feature is what the folks at Breville call Dosing IQ. While it may sound like it has something to do with sleep, I assure you it doesn’t. The precision digital time allows you to take total control of your coffee. 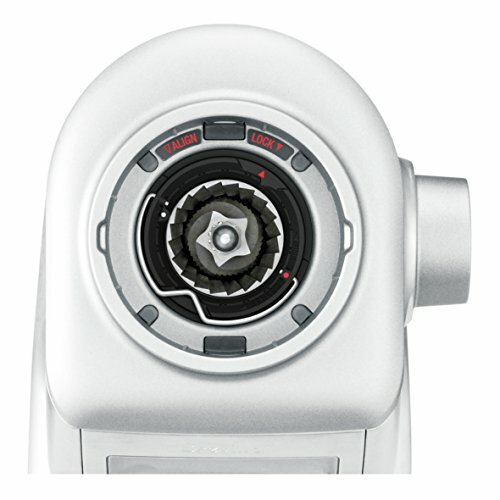 It allows you to adjust or tweak the grind time by increasing 0.2 seconds every time. So if you began with a really slow time and all of a sudden have that epiphany, then this feature allows you to increase your timing by 0.2 seconds until you reach your desired timing. The entire body of theBreville smart grinder is of stainless steel and the even the conical burrs are made of stainless steel. The conical burrs are used to reduce the heat produced by the grinder and therefore minimize the risk of burning your coffee beans. The accessories that you get along with the Breville smart grinder are a small portafilter cradle, a large portafilter cradle, sealing cap and grind container with lid as well as a conical burr cleaning brush to help you clean up your mess more efficiently. Rancilio is a pretty well-known and reliable company when it comes to coffee grinders. With its several great models, the rocky model is just another new addition to the Rancilio family. 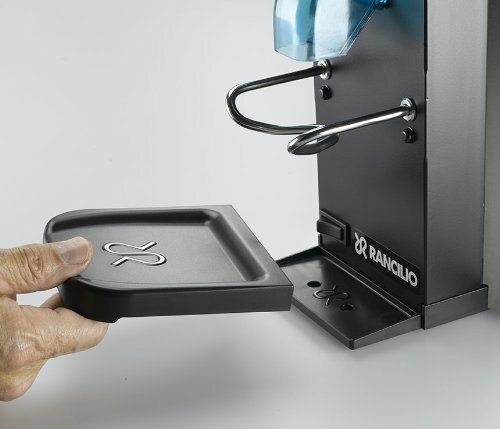 The Rancilio Rocky grinderhas a dimension of 4.7 inches X 9.8 inches X 13.8 inches. Again, just like the Breville Smart grinder, Rancilio is a pretty little thing that you can store in almost any corner of your kitchen. The main feature of Rancilio Rocky that distinguishes it from its other brethren is the addition of doserless system. 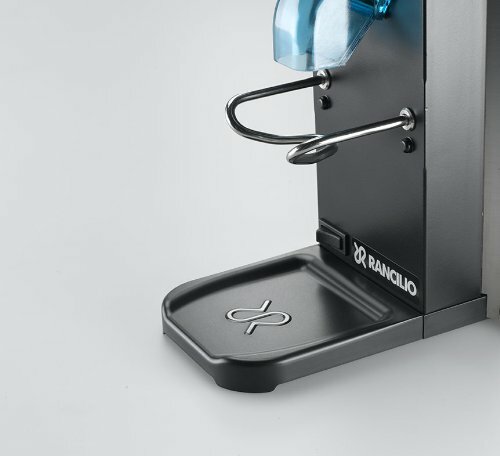 Instead of using a doser that is found in almost all grinders designed for home grinding, the Rancilio Rocky uses a chute system. Using this chute system, you can grind directly into the portafilter only as much as you need. This system allows you to not waste any more coffee beans then you actually require and keeps your coffee fresh for a longer period of time. Say goodbye to stale coffee that you used to be forced to drink because math is not your strong suit. The chute system has a whole working mechanism to it. There is a retaining fork which holds the handles of the portafilter and allows you to grind directly into it. This doserless system is an efficient way to save your coffee beans and money by using only what you need. The entire body of theRancilio Rocky grinder is manufactured out of heavy-duty stainless steel. The back panel of the machine is made from stainless steel. The base of the Rancilio grinderis made of a good quality aluminum frame. 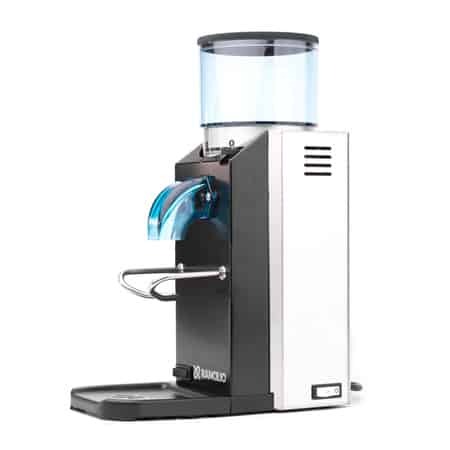 The Rancilio Rocky grinder is also available in black and white color. In this case, there is a black plastic base and white colored heavy-duty aluminum frame back cover. There are buttons located on the body of the grinder. There is a main power switch located at the bottom on the right side of the machine. The other switch is located at the front and is used to operate the grinding. It is a ‘push and hold’ type of switch and starts and ends the grinding process. There are 55 different grinding settings available in case of Rancilio Rocky grinder. This makes this machine ideal for anyone who likes to experiment with their coffee or just like to shake things up a little from time to time. With theRancilio Rocky grinderyou can grind your beans into an ultrafine grind or a coarse grind. This vast amount of settings make this product very flexible. The Rancilio Rockyuses a flat stainless steel burr and a heavy-duty and powerful motor to jump-start the grinding business. With the Rancilio Rocky you are bound to end up with a top-notch, quality product, there is no doubt about that. Okay, so the battle begins. We saw how both these products are great in their own ways. But we don’t want just great. In this battle, we want the best, the ultimate champion. We want one who can help you make the best coffee you’ve ever had. So let the battle begin. This is the first thing we should talk about. After all, money is really important when you are trying to save it. 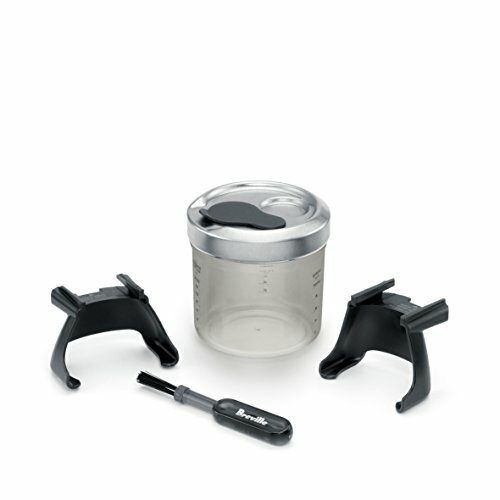 TheRancilio Rocky costs around $370. The Breville Smart grinder however is priced at $199. If you are stingy or just want to save some money, then the better option is Breville smart grinder. It is a great grinder and cheap. Well, cheaper. An ideal grinder for anyone looking for a cheaper option. Imagine buying a new grinder. In your mind’s eyes you have already given it a place in your kitchen. You are happy, everything is great until you realize that your new pride and joy will not fit into the place you had allotted it for. Now you are not that happy anymore. If inconspicuously fitting the grinder somewhere in a corner is your goal, then Rancilio Rocky is a better option. It is smaller of the two in comparison and can fit in its designated nook or cranny. At this point both the grinders are in the game, let us see where the next category throws the ball in whose court. The good thing about both the grinders is that they have moved on from the old-school blades and have moved on to the more advanced and new burr system. As I mentioned earlier, burrs are better at producing the uniformly sized grinds as the coffee beans in a burr system are not smashed around like whack-a-mole. It cuts through the coffee beans. But there are two types of burrs, the conical burr, and the flat burr. The Rancilio Rockyuses a flat burr system while the Breville Smart grinder, on the other hand, uses a conical burr. Now what? A burr grinding system is noisy, to say the least. I can remember the times when just the sounds of the burr made me forget all about my sleep and woke me up even before the cup of coffee could. Conical burrs tend to be less noisy out of the two. Conical burrs are also more cheaper compared to the flat burrs. So if your goal is to enjoy the serene silence of the morning definitely go for conical burrs and therefore the Breville Smart grinding system. Conical burrs also tend to heat up less, so that is a plus point as well. Looks like the ball is in Breville Smart grinder’s court now. More setting options means more flexibility. I love options and I am sure a lot of you do as well. This is why Breville is the better choice of the two. Rancilio has only 55 settings while the Breville has 60. The math is pretty clear to me. So here, too Breville Smart system wins. I am of a firm believe that a clear LED display just gives the gadgets a more modern look. This is another reason why I like Breville Smart grinder. The sleek, visible and immensely helpful system makes things clearer to read and program. The Breville Smart grinderhas the cups and shots system which make it easier to handle and use while the Rancilio Rockydoesn’t have this system. Breville wins here as well. From this mini competition of ours it is pretty clear that Breville Smart grinder is the better option of the two. It packs a lot of punch with its 60 different settings and makes a good grinder even better. While Rancilio Rocky by no means is an inferior grinder but personally it just doesn’t do it for me. I like the less noise produced by the Breville Smart burrs. Another thing I like aboutBreville Smart grinder is the add-ons you receive with the grinder. I used to hate cleaning my grinder after grinding a fresh batch of coffee beans but with the burr cleaner fromBreville, this task doesn’t seem Herculean anymore. So that is a plus in my book as well. While neither of the two grinders is entry-level or ideal for beginners, they are easy to use once you get the hang of it. Don’t let the initial difficulty stop you from buying these grinders. Because everyone deserves a tasty cup of coffee and not the instant mix kind. So give these grinders a try and in a few days, when you get the hang of them, you as well as your taste buds will be thankful for making this purchase. Both these grinders are great in their smart feature of not wasting any more coffee beans than required. That is a great feature and we are all thankful for it. It saves you from using the extra ground coffee beans the next day and that is awesome. No one should have to drink stale coffee. With that, we will end this article. I really hope that you have learned a lot from this article, and make a wise and economical choice. If you want to share your opinions with us then please do. We love to read your messages. Have an energetic day and stay caffeinated! Rancilio Rocky vs Baratza Encore: Which is a Better Coffee Grinder?